On our last trip to the house we were busy adding a few final but important touches to the house, things to make the house work well even for the smallest members of your group. First off, our very own pack n play arrived. Our rental agency has a couple more at the office too, available to any groups with more than one baby. 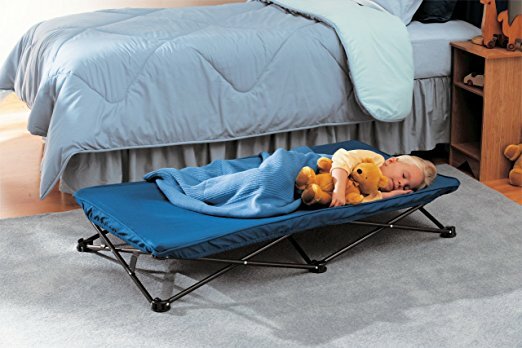 At the house we also have two toddler cots like the one shown in this photo. 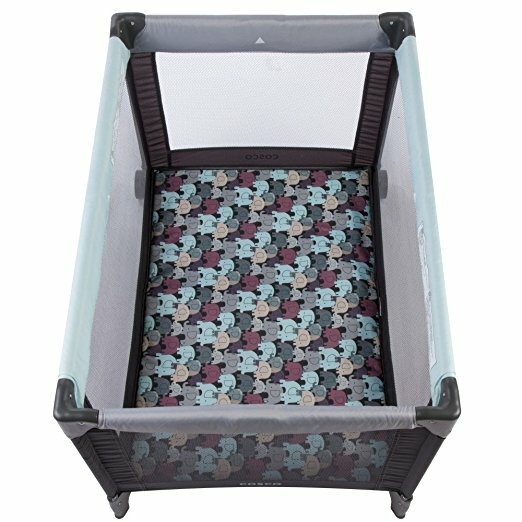 They are tucked under one of the king beds, ready to set in any room for little ones who need to sleep close to their parents. A beach house would not be well stocked without some pails and buckets to bring to the beach. 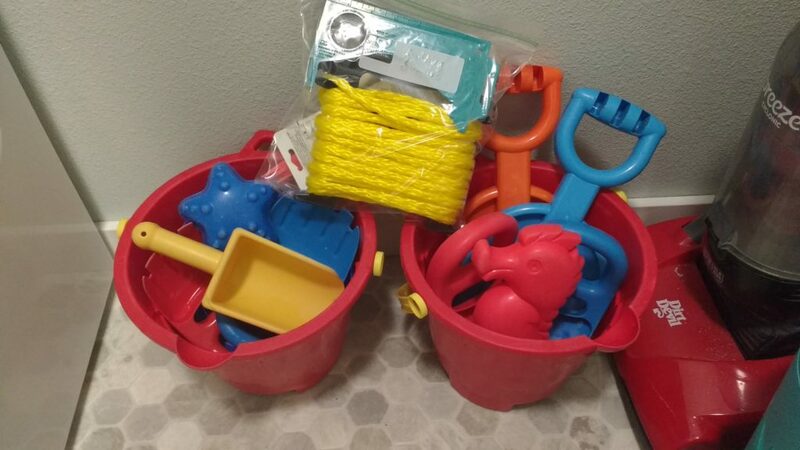 We have a nice little stash of those in the laundry room, ready for use, along with a couple of crab rings (not pictured), just in case your ocean fun leans more toward crabbing. Also– beach towels! 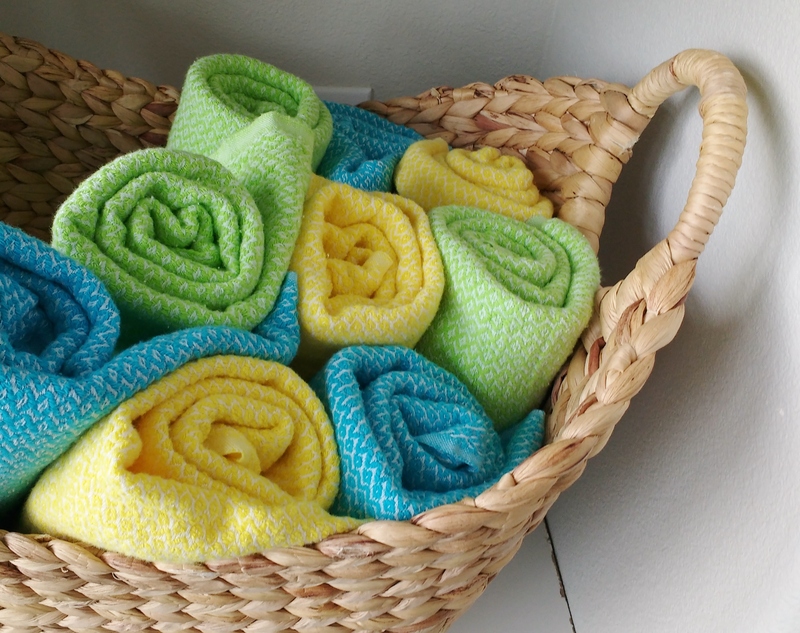 I found some lovely Turkish towels that are large and light, but also very absorbent. Since they are low pile, they don’t collect sand like your typical bath towel. And they dry very quickly, whether draped on the fence or tossed into the dryer. 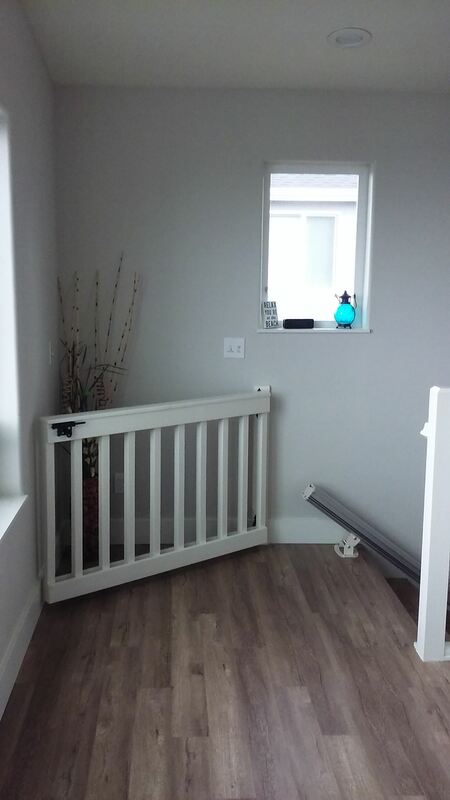 Next on the list: baby gates! 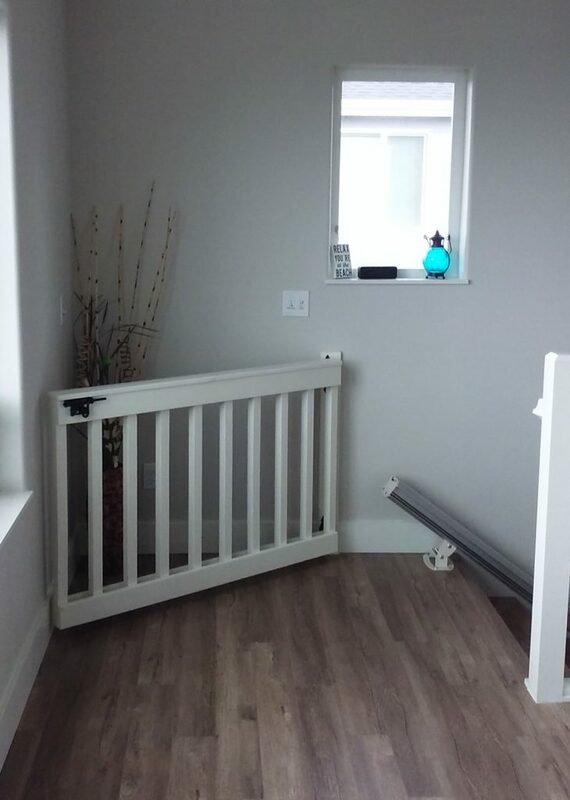 And these aren’t your typical baby gates. These are custom made gates that live right where you most need them, at the top of both the indoor and the outdoor stairs. Here’s the one at the top of the indoor stairs. When it is closed it sits at a slight angle to accommodate the stair chair even if parked at the top of the stairs. And here’s the gate John built for the deck stairs. I like that you can get all the way to the landing at the top with your bags and coolers before needing to pause to undo the clip. 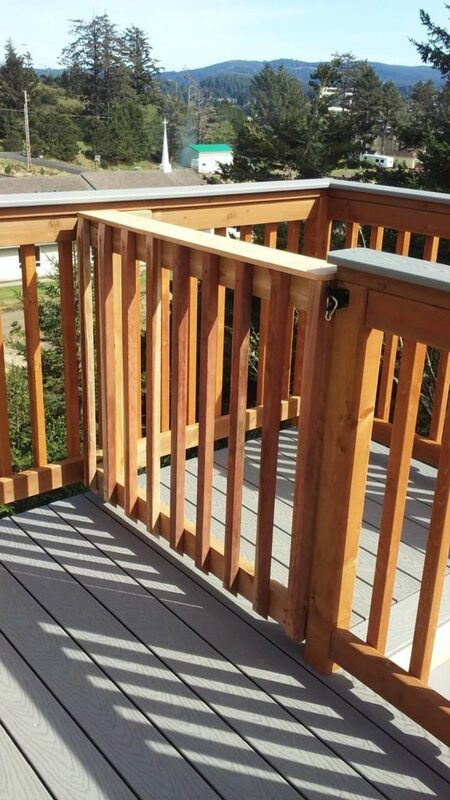 When both gates are latched and the sliding glass door is left open, toddlers can have a grand 60 foot long run from north end of the house to the south end of the deck, while still being safely contained and with no worries of tumbling down stairs. Kid tested, mother approved. We also have a standard portable baby gate available to set in place anywhere you might need it, as well as a small umbrella stroller that will simplify hikes to the beach with a little one. The final addition to the house is perhaps the most exciting. It is a 6 person hot tub that we’ve tucked under the deck at the south end of the house. 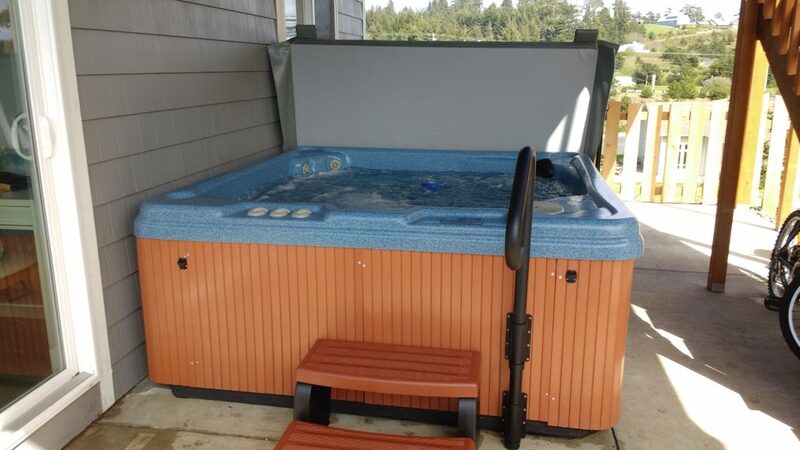 This sits between the two downstairs master suites, making it easy to sneak into the hot tub late at night after the kids are tucked into bed. 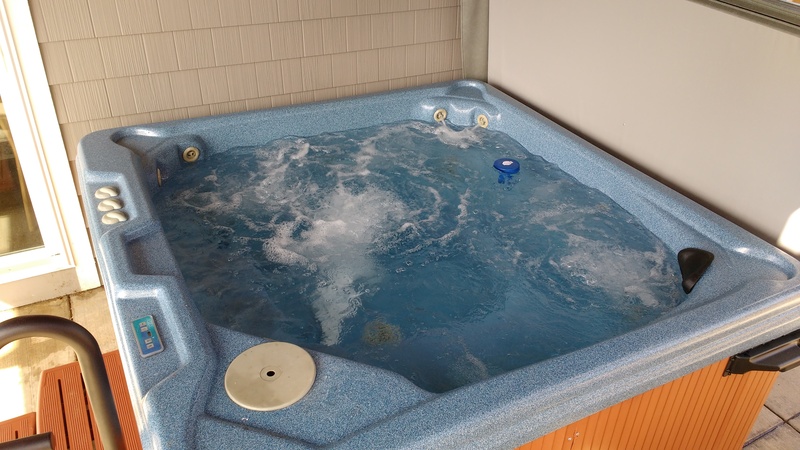 Our rental agency has a hot tub cleaning service that we will be using in between guests to ensure the tub is clean and ready for use at any time, and the locking top makes it simple to secure the tub when you are not using it. DO remember to LOCK the tub after each use! We want your kids to be happy AND safe. Click here to look at our booking calendar! July and August are getting full, but we still have dates available in late May and early June including Memorial Day weekend. We’d love to have you come check out the Owlhaven for yourself. PS– Click here for more photos of the house. It has 6 bedrooms and 5 baths and sleeps 16.